When you think of Dubai your mind may immediately turn to gorgeous beaches, eclectic cultures and searing temperatures – all set against a backdrop of majestic skyscrapers and luxurious hotels. While there’s no denying this is a pretty accurate description of this affluent and popular tourist destination, many travellers to Dubai often return from their trip having also embarked on a once in a lifetime safari adventure out in the desert. In fact desert safari trips are one of the most popular tourist activities in Dubai and, as you’d probably expect, there are a diverse selection of tours and companies to choose from for your desert adventure. From low-key overnight camping trips to action packed day tours, it’s important then for visitors to find the right trip to match which particular style of adventure suits them. 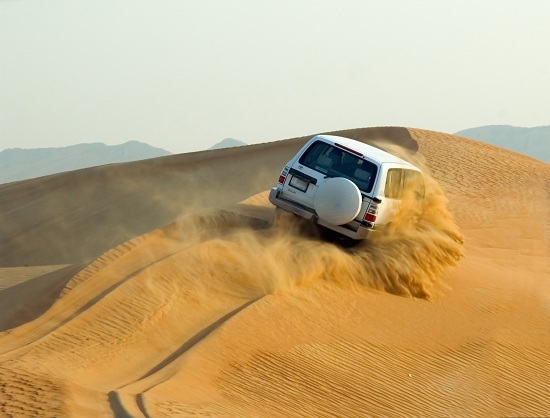 Probably the most popular way to explore the desert dunes of Dubai is from the comfort of an air-conditioned jeep… but don’t get too comfortable; a ‘dune bashing’ trip in Dubai is a white-knuckle ride through dramatic waves of sand dune upon sand dune. The vehicles take off at high speeds and what starts as a leisurely drive in the desert soon becomes a rollercoaster ride across a forever shifting landscape. If you really want to step up the adrenaline then hop aboard your very own quad bike or ‘dune buggy’ instead. These truly allow you to get in the driver’s seat and take control of your own dune bashing safari adventure. Probably the most quintessential of all modes of safari travel, camels are also known as the ‘ships of the desert’ in Dubai. Traditionally used for transportation and trading, camels are now better known for giving tourists a trip of a lifetime across the Arabian Desert – usually while spitting and generally behaving grumpily! 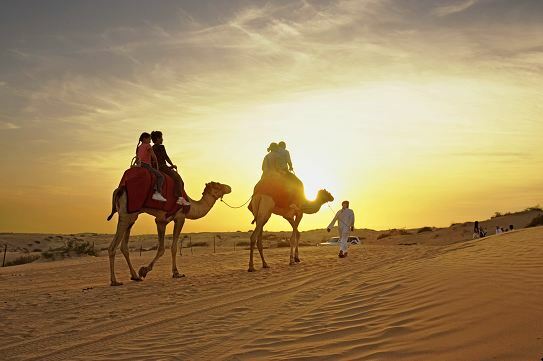 Although a camel ride in the desert is slower than the four wheeled options available, many visitors consider a camel ride through the dunes the ultimate in desert safari adventure. For a relaxed yet fun-filled desert trip in Dubai your best bet is a wildlife safari. More like the traditional safaris you’re used to hearing about in places like Africa, these trips, usually aboard a Land Rover, are ideal for young children as well as adult nature lovers. Choose from a short day trip or a nocturnal camping expedition and experience the great outdoors while spotting local desert wildlife to your heart’s content. 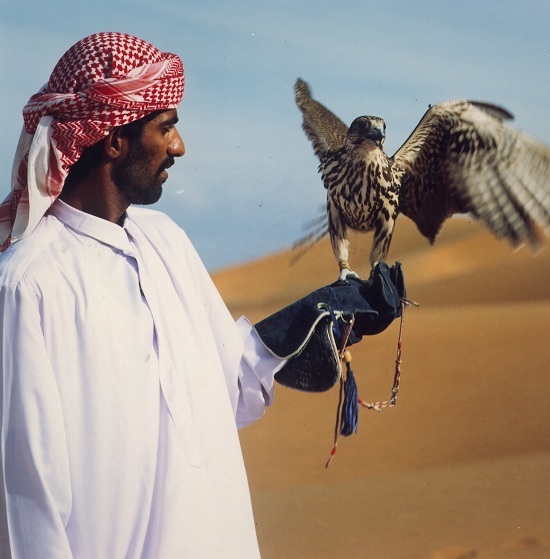 The Dubai Desert Conservation Reserve offers more information for nature lovers visiting Dubai. With so much on offer it’s easy to get overwhelmed with all the different types of desert safari trips in Dubai, which is why it’s a good idea to get clued up about them all before you go. Having said that, many of the trips available will include a mixture of all the above activities – meaning it’s entirely possible to experience the full range of desert safari adventures in just one trip out to the dunes. Kirsty Stuart left full time employment last year in a perilous bid to write more and travel more. Her plan worked and these days she enjoys doing just that while also helping other writers and free-spirited entrepreneurs do the same via her website: Freelance Writers Online. Don't miss out on our Weekend Flight Sale with return flights to Dubai from just £299!